In Apple Mail, Go to the Mailbox menu item and click "New Mailbox"
Next a dialogue will show up asking what type of mailbox you want. Click on the selection arrow. The click will open a list of your current accounts. You want to select the root level of your IMAP account. 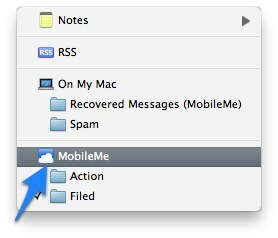 In the example, I am doing this on my MobileMe IMAP account. This is where mistakes are made. 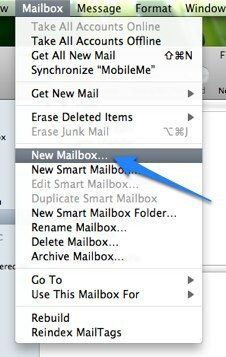 If you create the mailbox "On My Mac" or within an old POP account, it won't synchronize. Then you simply give it a name and you are done. It should show up in both Apple Mail and your other linked IMAP devices, such as your iPhone.